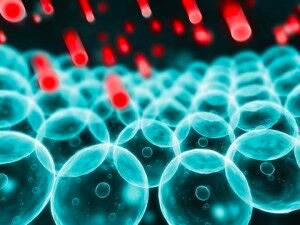 For much of the 20th Century and into the 21st Century, conversations about anti-aging and disease prevention have been centered on the so-called “Oxygen Paradox.” These conversations almost always include the words “free radical”, “antioxidant”, and “reactive oxygen species”. The Oxygen Paradox is described in this way: Oxygen is essential to life. The metabolic breakdown of oxygen, however, produces reactive oxygen species (commonly referred to as free radicals) that disrupt normal cell function. These unstable oxygen molecules move around the body seeking to participate in biochemical reactions that make them more stable, which result in damage to fats and proteins that are found in the cells of our body. It is important to note that reactive oxygen species are not all bad. In fact, these breakdown products play a vital role in many normal physiological functions. For example, our immune system uses reactive oxygen species to destroy the bacteria and viruses that cause illness and disease. The body recognizes the dangers and benefits of these free radicals (hence, the Oxygen Paradox) and is constantly performing a balancing act using a variety of “antioxidant” strategies to allow these unstable compounds to do their work without causing damage to cells. When there is an imbalance between the amount of free radicals produced and the amount of antioxidants present to counter the dangerous effects of these compounds, a condition known as oxidative stress occurs. Such an imbalance can result from either an excessive free radical load or a deficiency in antioxidants, or both. Smoking, excessive alcohol consumption, obesity, and chronic exposure to environmental pollutants cause an increase in the production of free radicals. On the other hand, the diets of many people lack sufficient amounts of the antioxidant nutrients that the body uses to battle free radicals. Consequently, oxidative stress is very common in the modern age, and has been implicated as the cause of many human diseases and medical conditions, including cancer, diabetes and heart disease. In recent years, fertility experts have pointed to oxidative stress as a leading cause of male infertility. Like all other cells in the body, sperm cells constantly face the Oxygen Paradox. But, as it turns out, sperm cells have less effective antioxidant mechanisms to keep free radicals at bay, and are especially vulnerable to damage from free radicals due to the high amounts of fats contained in their cell membrane. As a result, sperm cells are often subjected to oxidative stress, leading to reduced sperm count, poor sperm motility, and even DNA damage. Researchers now believe that up to 80% of all cases of male infertility can be attributed to oxidative stress. Clearly, oxidative stress is taking a toll on sperm counts. The average sperm count among adult men is declining by 2% each year, and male infertility rates are on the rise. Fortunately, research shows that certain nutrients and herbs can help increase sperm count.